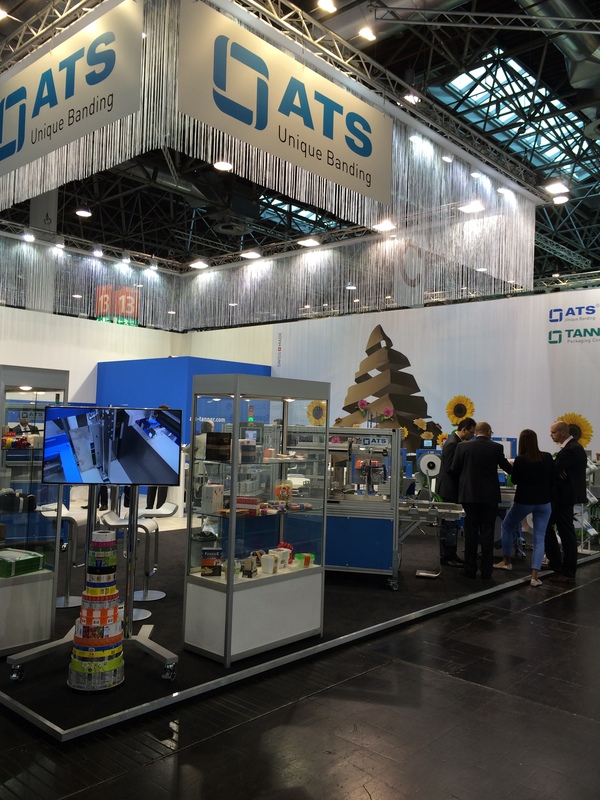 This year, Wexler Packaging Products had the privilege of attending several days of interpack 2014 with the ATS-Tanner Group, our equipment and materials partner. The expo was held in Düsseldorf, Germany at the Messe Düsseldorf Fairgrounds from May 8-14, 2014. Efficiency was a dominating theme at interpack 2014, and ATS was right on target. 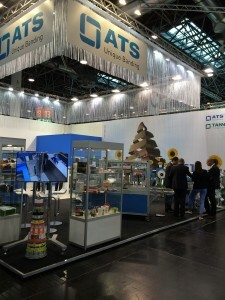 Located in Hall 13, Stand B47, the ATS-Tanner booth presented “efficiency through banding” showcasing banding solutions for a variety of industries ranging from manufacturing and pharmaceuticals to graphics and food. Among the featured ATS Banding Machines and Automated Systems was the ATS•US-2000 TRS-SW-L3. Wexler customers in the graphics/corrugated industries like using this system, as it eliminates the strap they were previously using from cutting into their high-end laminated lithographic product. CLASSICALLY SWISS. For quality at its peak. BIG ON SOLUTIONS. Putting a face on advice. FULL & DEPENDABLE. An all-round service.  Wexler Packaging Products has been a proud ATS-Tanner equipment and materials partner since 1993. Wexler currently represents ATS-Tanner in 40% of the United States, covering all of the eastern states, including Puerto Rico. Wexler proudly represents the ATS line, and as a company we strive to be an extension of the ATS-Tanner Group in the United States. 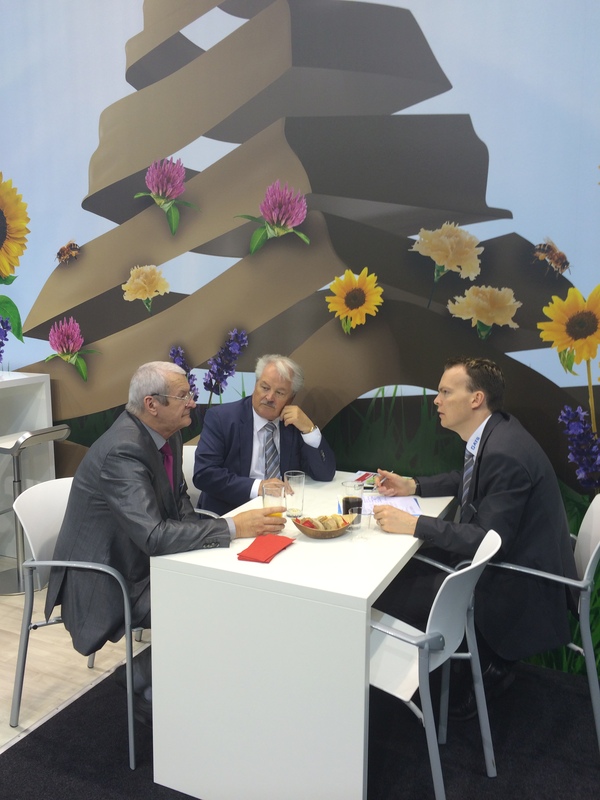 Overall, interpack 2014 was characterized by an outstanding atmosphere. The show featured approximately 2,700 exhibitors in the 19 halls of the completely booked Düsseldorf Exhibition Centre. With the official report finally in, interpack 2014 has set a new record for itself. Visitor attendance cracked the 175,000 mark, featuring 66% foreign visitors from 120 nations – an impressive jump from interpack 2011 which featured an attendance of only 166,000 visitors from 60 nations. This international profile ranks interpack as the packaging world’s most important meeting place. In addition to setting a new record, interpack has now reached a top rating across all Messe Düsseldorf events. 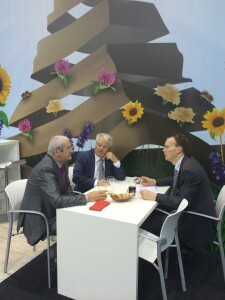 Interpack showcases every three years and is the No. 1 leading processes and packaging trade fair worldwide. Interpack will return to Düsseldorf in spring 2017, the exact dates will be announced at a later time.